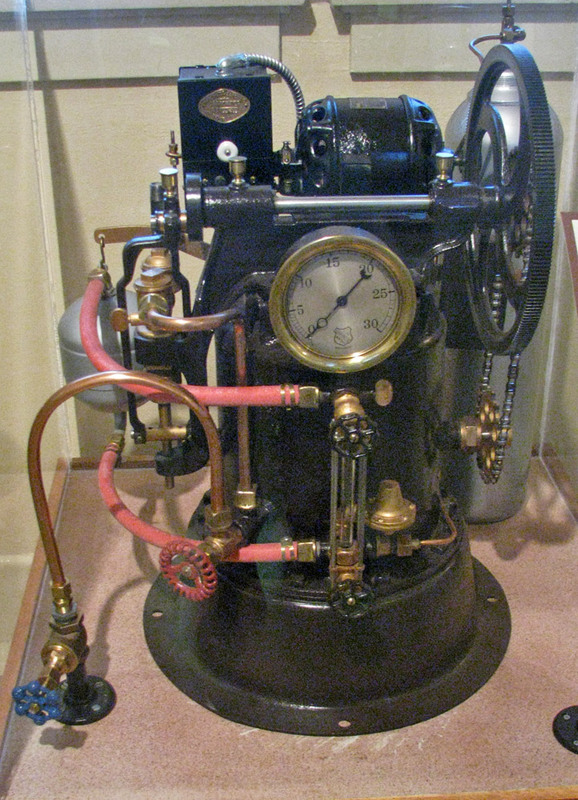 Jerome is a town in Yavapai County, Arizona, United States. 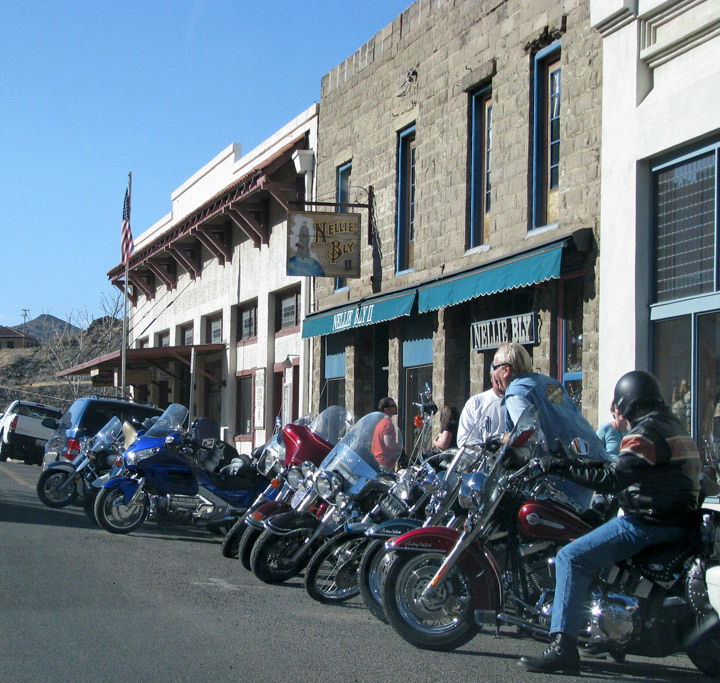 According to 2006 Census Bureau estimates, the population of the town is 343. 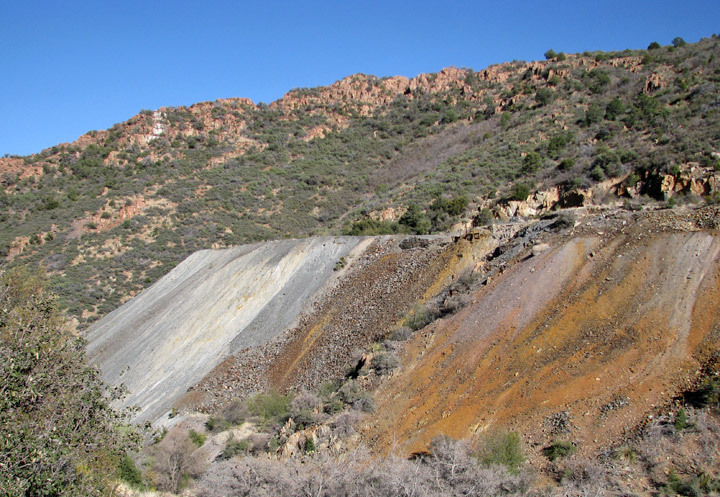 A mining camp named Jerome was established atop "Cleopatra Hill" in 1883. 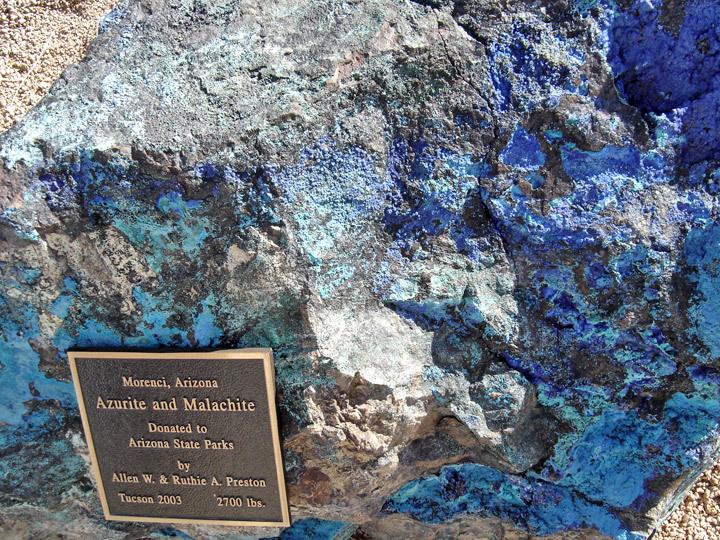 It was named for Eugene Murray Jerome, a New York investor who owned the mineral rights and financed mining there. Eugene Jerome never visited his namesake town. 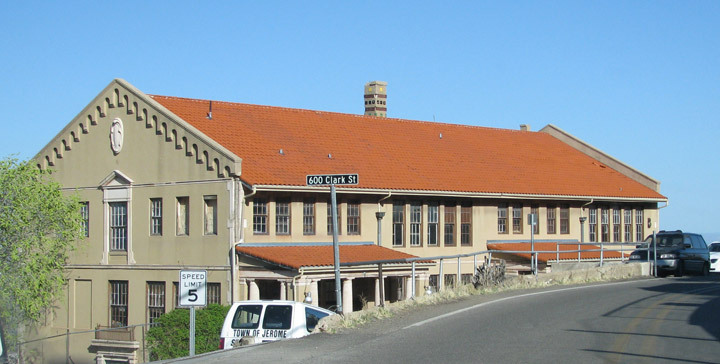 Jerome was incorporated as a town on 8 March 1889. 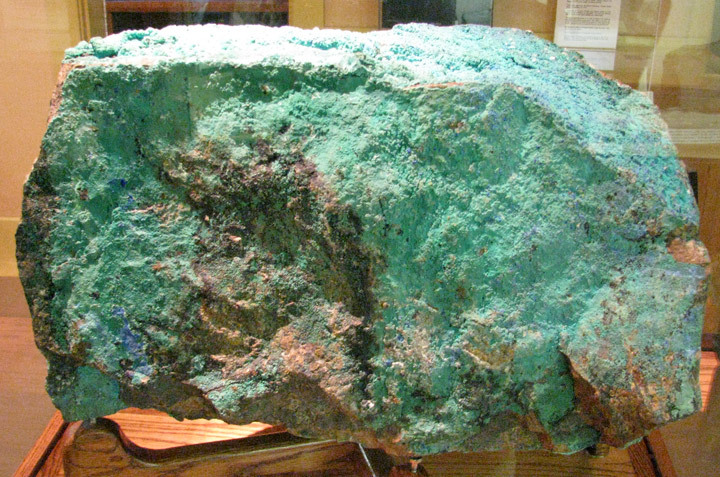 The town housed the workers in the nearby United Verde Mine, which was said to produce over 1 billion dollars in ore over the next 70 years. 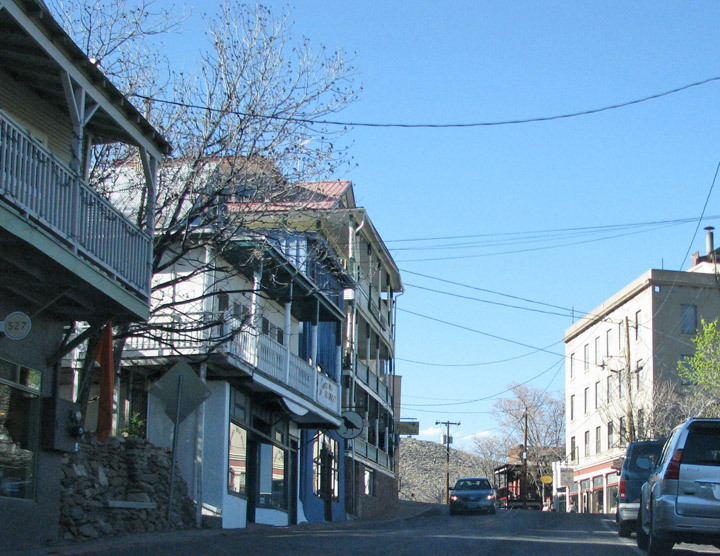 Jerome was reincorporated as a city in 1899 and a building code specifying brick or masonry construction instituted to end the frequent fires that had repeatedly burned up sections of the town previously. Starting in May of 1917 there was a series of miners strikes, in part organized by the Industrial Workers of the World (IWW). On 10 July of that year armed agents of the mine owners roughly rounded up all the labor union organizers and unionized miners on to railroad cattle cars, on 12 July letting them out near Kingman, Arizona after they were warned not to return to Jerome if they valued their lives. This incident is known as the Jerome Deportation. 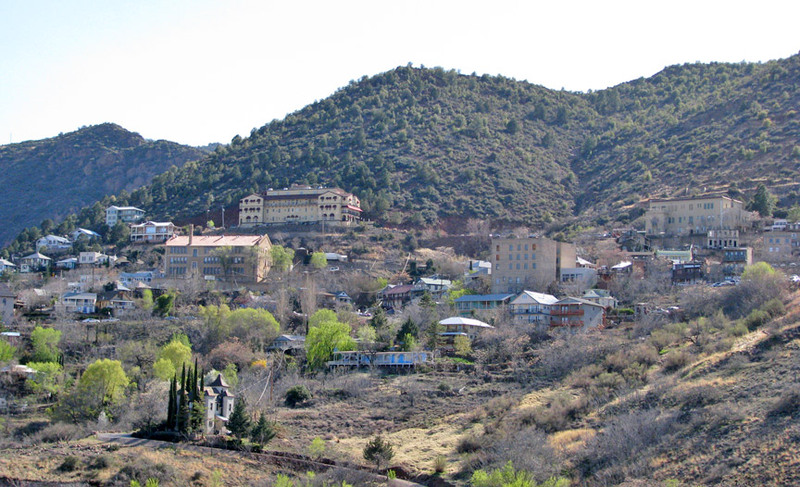 This event would ultimately serve as a prelude to the larger and more well-known Bisbee Deportation. 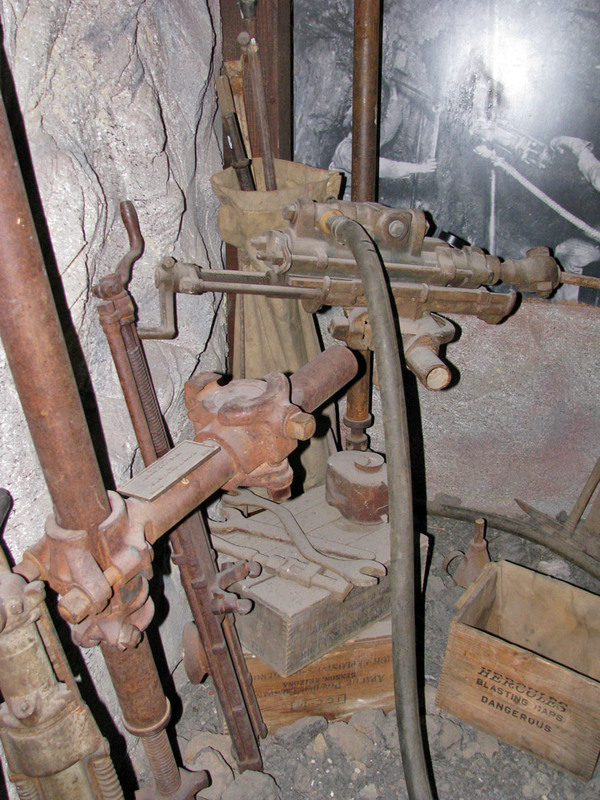 In 1918 fires spread out of control over 22 miles of underground mines. 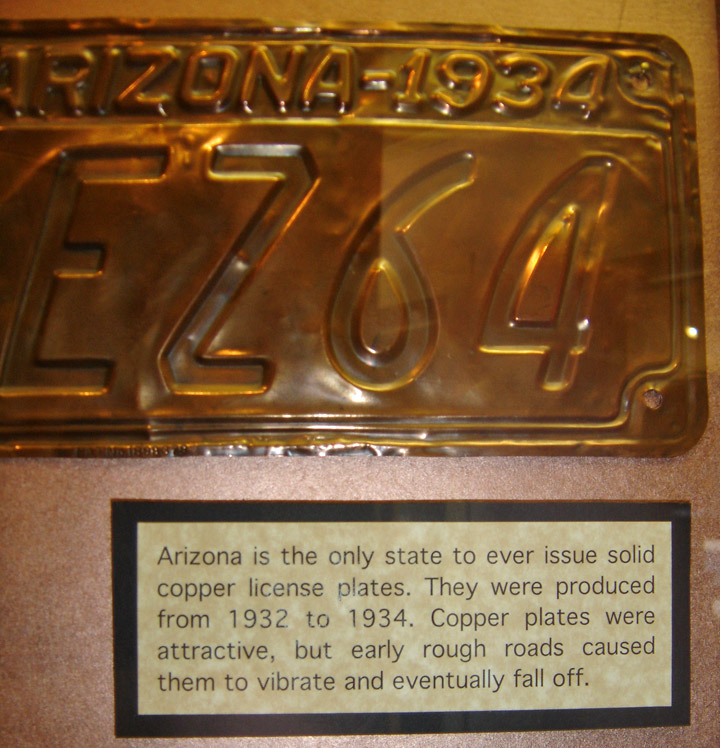 This prompted the end of underground mining in favor of open pit mining. 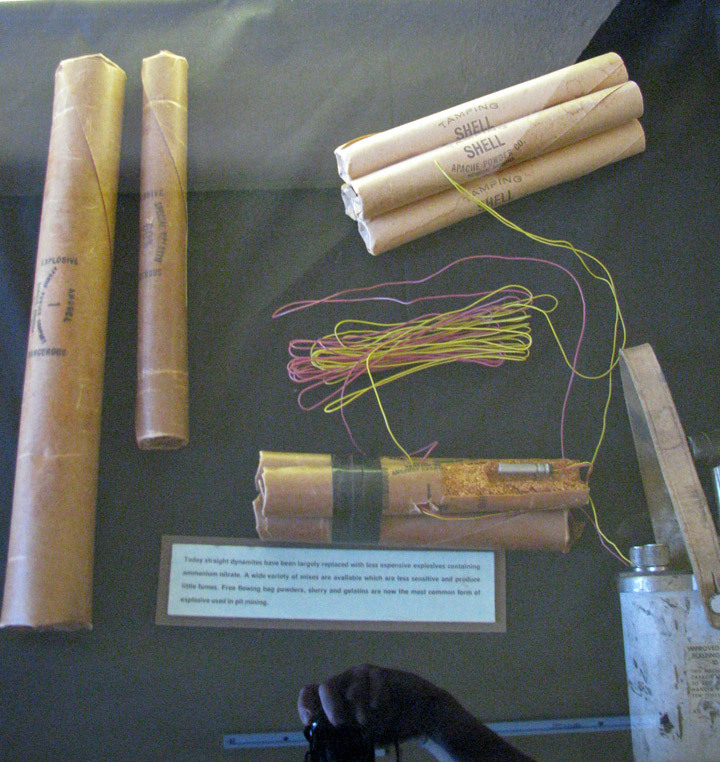 For decades dynamite was used to open up pits in the area, frequently shaking the town and sometimes damaging or moving buildings; after one blast in the 1930s the city jail slid one block down hill intact. 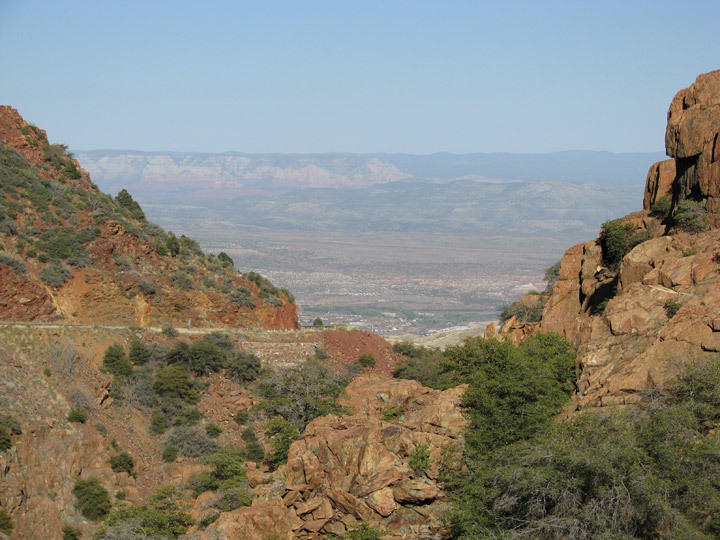 In the late 1920s Jerome's population was over 15,000. 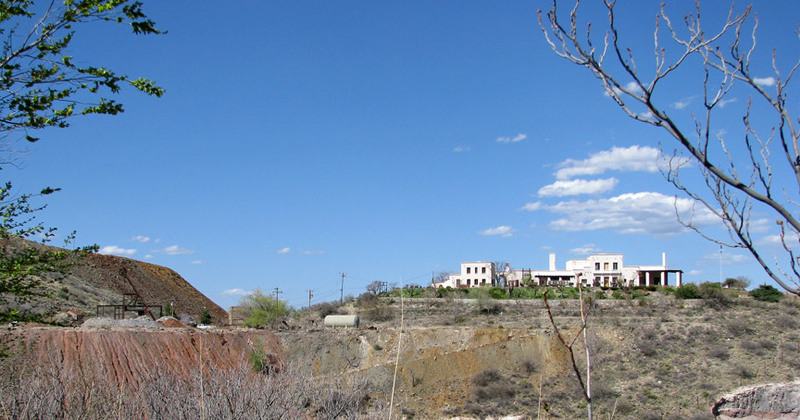 In 1953 the last of Jerome's mines closed, and much of the population left town. 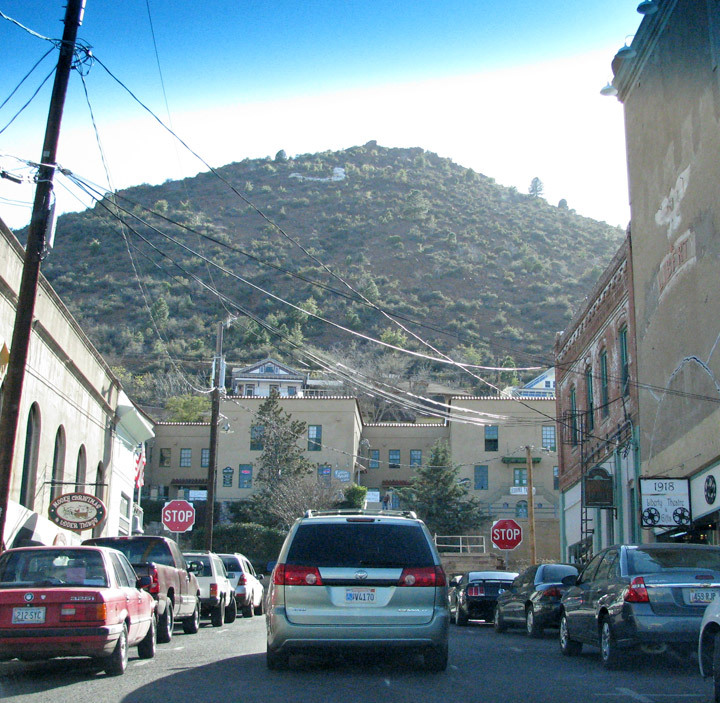 Jerome's population reached a low point of about 50 people in the late 1950s. 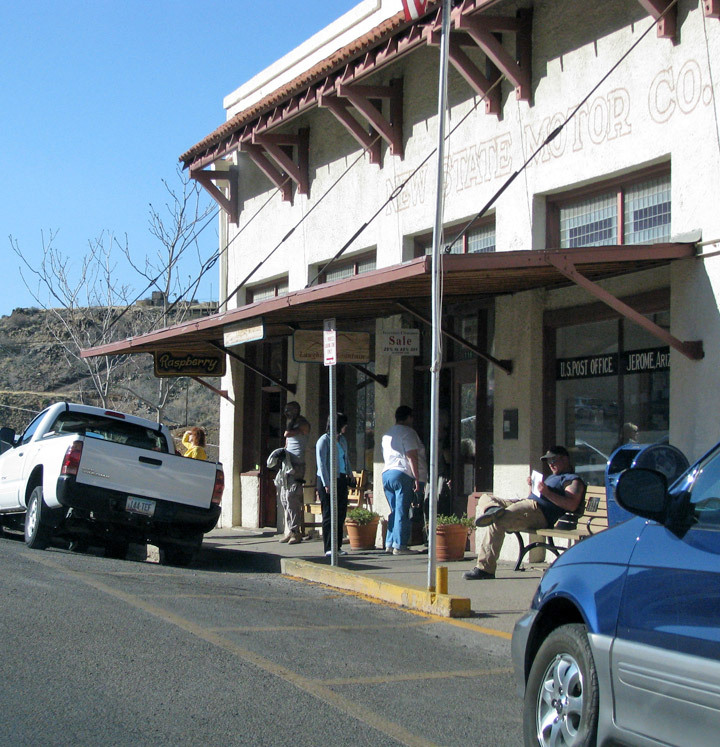 In 1967 Jerome was designated a Historic District, and a National Historic Landmark in 1976. 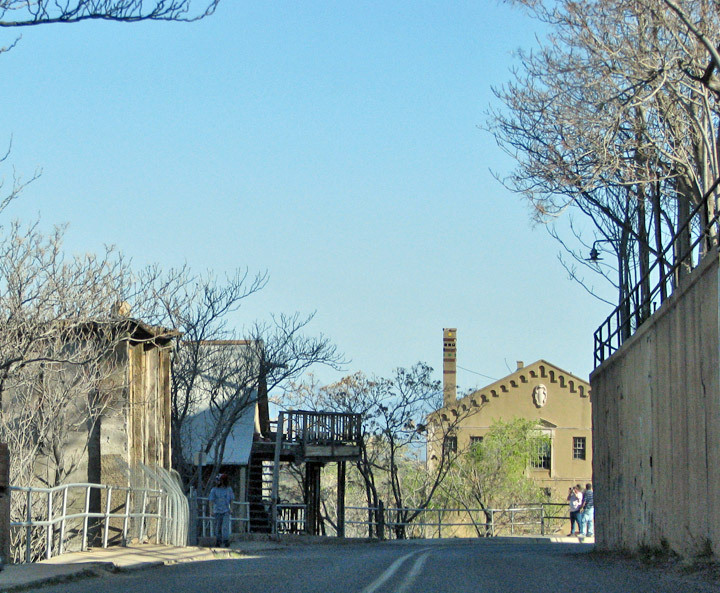 Today Jerome is a tourist destination, with many abandoned and refurbished buildings from its boom town days. 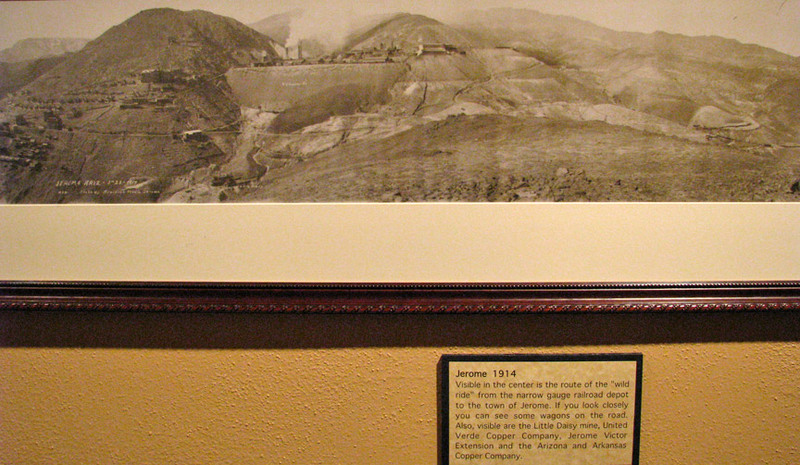 Jerome is the location of an extensive mining museum, presenting the town history, labor-management disputes, geological structure models, spectacular mineral samples, and equipment used in both underground and open-pit mining. The National Historic Landmark designation has assured a non-commercial atmosphere in this charming mountainous town, one mile high on Mingus Mountain. Unique shops, mostly owner operated and interesting restaurants line the streets. 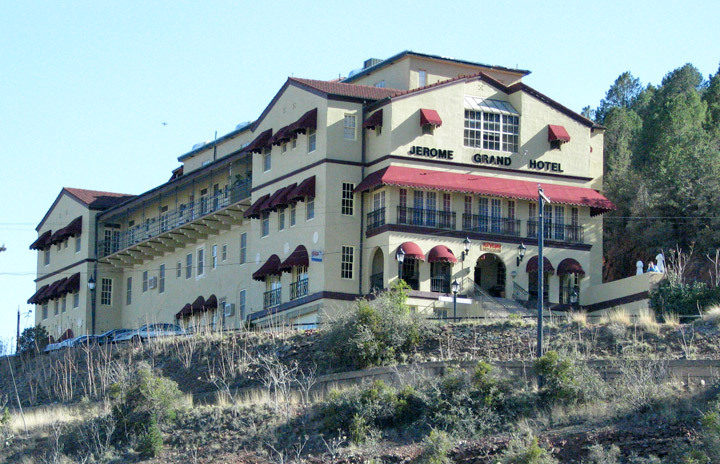 There are numerous bed and breakfasts in Jerome and two hotels, The Connor Hotel and The Grand Hotel. 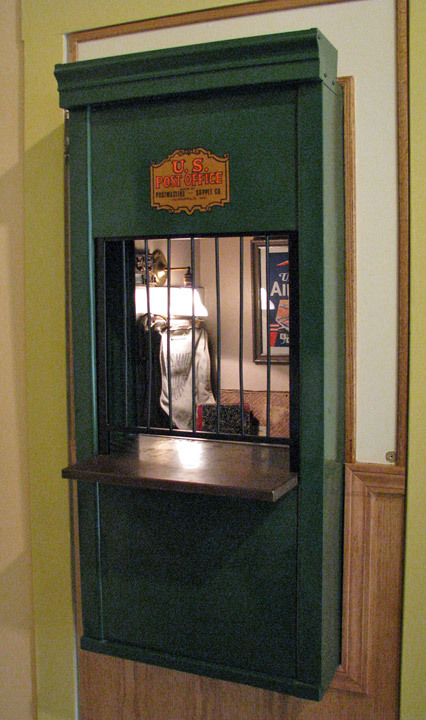 Restaurants range from the famous Haunted Hamburger to the fine dining of The Asylum, located in The Grand Hotel. 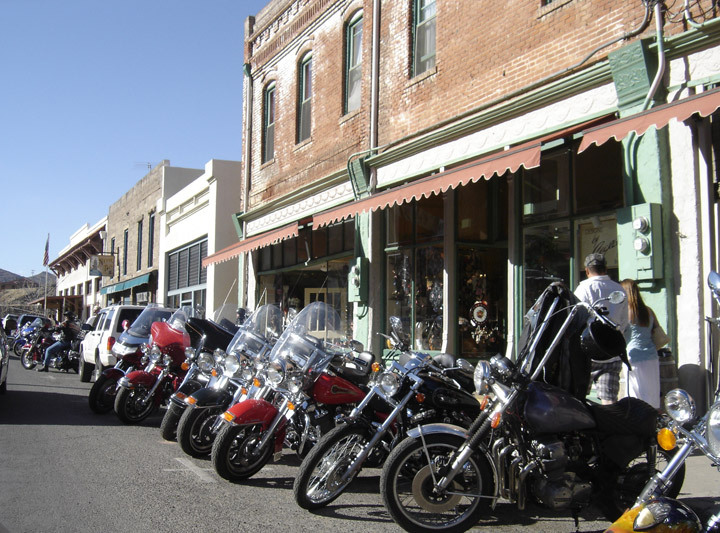 Gisele's French Bakery, Belgian Jennie's Bistro and Pizzaria, Mile High Grille,Flat Iron Cafe,Sage Post, Red Rooster and Grapes all boast fresh and delicious fare.The two local bars, The Spirit Room and Paul and Jerry's Saloon, Arizona's oldest family owned bar, both regularly have live music on weekends. 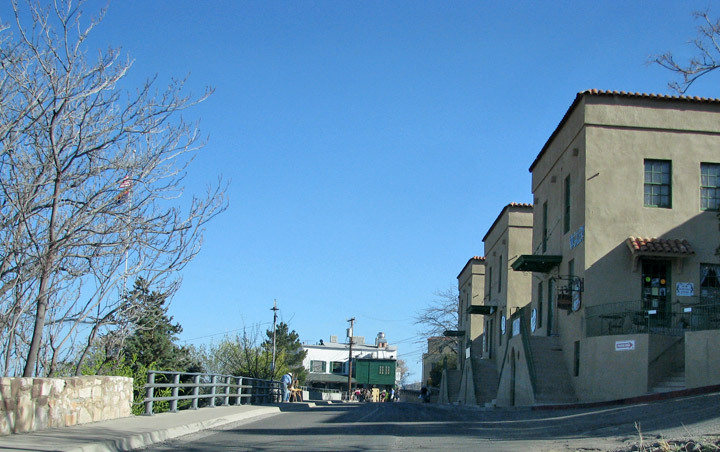 In 1983, California folk-singer Kate Wolf wrote the song "Old Jerome" after visiting the town. In 1987 the town council adopted it as their official town song. 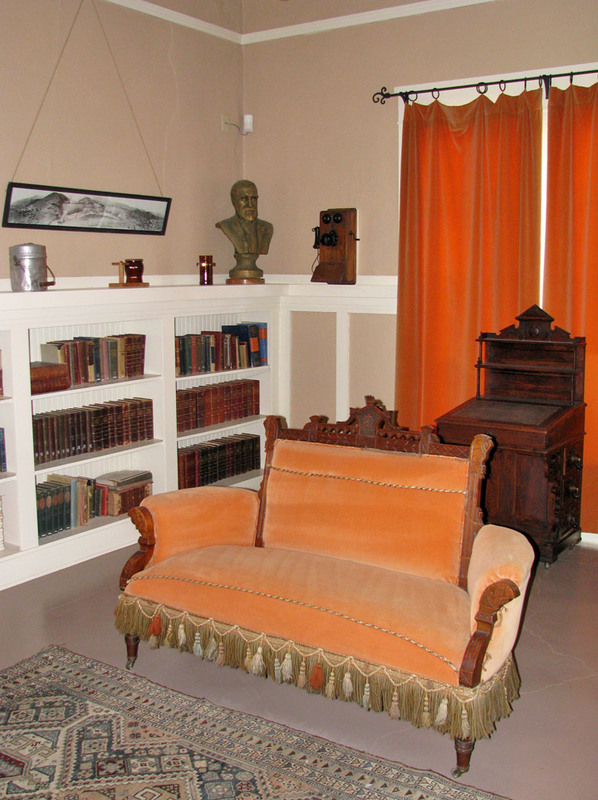 The community spirit in this town of 400 has created a vibrant group of events from its legendary Halloweeen Dance to the Jerome Home Tour in May. 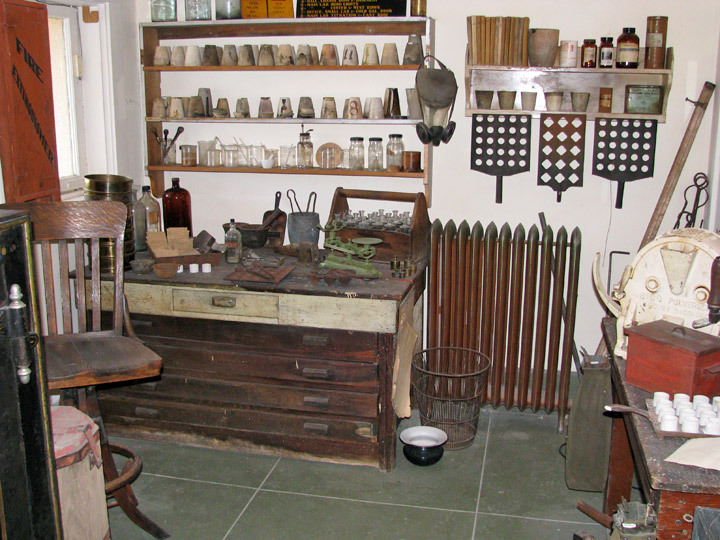 This is the oldest continual Home Tour in the state of Arizona.